The Board of Trustees voted at its June meeting to make President Jamshed Bharucha a voting member of the Board. 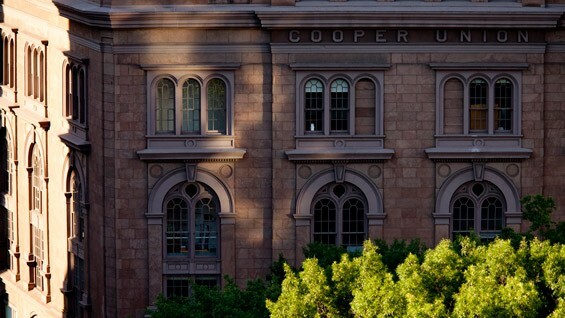 It is a best practice for presidents of colleges and universities to serve as voting members of their institution’s board, according to The Whelan Group, which has concluded an assessment for strengthening Board governance at The Cooper Union. Joseph B. Dobronyi Jr. was elected to the Board in April. The Board of Trustees has maintained a tradition of including a direct descendant of Peter Cooper on the Board; Dobronyi replaced Marc F. Appelton, another descendent, who served on the Board from 2003-2012. Mr. Dobronyi is Peter Cooper's great great great grandson. Peter Cafiero (CE’83), president of The Cooper Union Alumni Association (CUAA), is a voting member of the Board of Trustees as of July 1, per the most recent amendment to The Cooper Union bylaws, which now grants the alumni association president a voting seat on the Board of Trustees. Previously, Cafiero had served as an ex-officio member of the Board. Thomas Driscoll (ME’77), who served as an Alumni Trustee from 2007-2011 was also elected in June as Trustee.